This very neutral-toned room stopped me in my tracks. Featured on Houzz, it is sepia colored, like an old photograph. Lots of texture and all of those gorgeous pillows make this space look warm and welcoming. 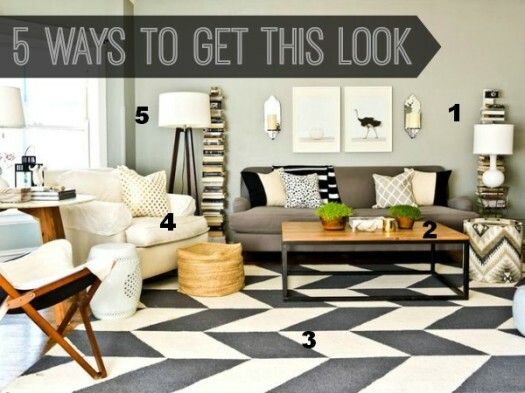 I’ve found five ways for you to get a high-style look like this for low-budget prices.